HarperCollins, 2013. Fiction, 223 pages. As with most jobs it's helpful to have a mentor to give guidance and counsel. The Junior Tempter named Wormwood has his experienced uncle, Demon Screwtape to give this much needed career advice. 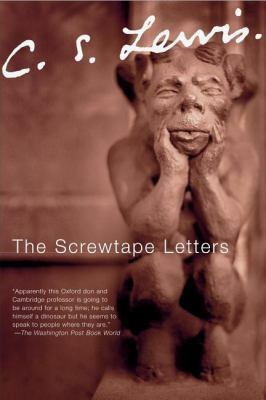 In a series of letters Screwtape carefully explains to Wormwood how to catch 'the patient' in the common sins and temptations in order to completely disillusion the man from God and Christian belief practices and thereby lead 'the patient' into damnation. This novel is written in satirical and fictional style, but is dense with Christian theological issues. Because of the backwards perspective of the demon tempters, the takeaways are more poignant for the average reader. I found that as I read this book my many sins, weaknesses and temptations were laid bare before me. This is both helpful and discouraging in the same vein because there is always so much room for improvement. It becomes more apparent where those gaps in character and obedience may be, while simultaneously giving hope for change and faith in Christ. I would recommend for all, but could be confusing for non-Christian readers.